Well, I think it’s safe to say Westworld co-creators Jonathan Nolan and Lisa Joy have officially won the internet. As we reported a couple days ago, during Nolan and Joy’s Reddit AMA, the duo announced, in a serious and convincing way, that they had made the difficult decision to reveal the entire plot of the second season, with all its twists and turns, to the public (if the comment got 1,000 upvotes, which it did). The point of this decision was to decrease the amount of theorizing that goes on within the interwebs, which they claimed has led to fans getting unintentionally spoiled. Many fans expressed doubts about this decision, worried that revealing the plot would actually have the opposite effect and would lead to spoilers pasted all over the internet. Well, it turns out Nolan and Joy were thankfully just messing with all of us, and they revealed this by releasing a video that they claimed was the entire plot, and instead planting in it a prank as old as the internet itself. Yup, they Rickrolled us. At the beginning of the video, Jeffrey Wright‘s (Bernard) voice can be heard narrating what may actually be the first couple scenes of the season. He wakes up on a beach, not knowing what happened, and is greeted by Stubbs (Luke Hemsworth), who brings him to Delos’s Head of Security, Karl Strand (Gustaf Skarsgård). After seeing a few dead host bodies strewn about the sand, Bernard flashes back to Sweetwater, and that’s where the fun begins. As Bernard walks through the town, all the hosts suddenly stop moving, and the video then cuts to Evan Rachel Wood (Dolores) and Angela Sarafyan (Clementine) out of costume, who begin playing a beautiful rendition of Rick Astley’s song Never Gonna Give You Up. As a singer, Wood unsurprisingly nails the vocals, and Sarafyan accompanies her on the piano. Once they get through their verse, the video then cuts to 20 minutes of footage of a dog named Bento sitting in front of a piano with the show’s main theme song playing on repeat. I can only assume this is Nolan and Joy’s dog, who we learn at the end of the video passed away this year. Quite the tribute I must say, and well done for giving me and all the other Westworld fans a momentary heart attack! In other news, Entertainment Weekly has learned about a few more recurring cast members brought onto the show for season 2. 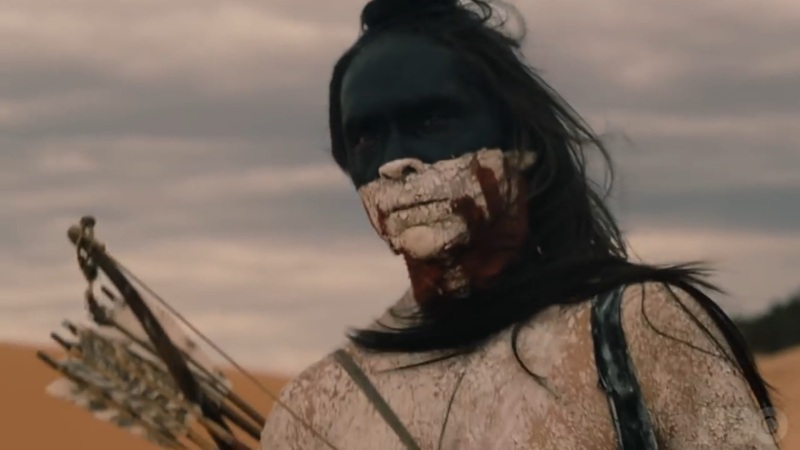 The first is Zahn McClarnon, who you may recall we reported as being cast in July of last year after a tweet from Louis Herthum (Peter Abernathy) congratulated the newcomer on his role (the tweet was promptly deleted, but not before we snagged a screen shot). He will be playing the role of Akecheta, and people think he may be the Ghost Nation member on horseback that we see in the season 2 trailer. Tao Okamoto (The Wolverine, Batman v Superman) has also joined the season, and plays the role of Hanaryo. Not much is known about the character, but according to her IMDb page, she’s slated to appear in the season’s premiere episode, Journey Into Night. Another newcomer is Kiki Sukezane (Heroes Reborn, Dango Samurai), who plays the role of Sakura. Her IMDb page also has her appearing in just the first episode, although both her and Okamoto could very well be appearing in future episodes. Could both be appearing in the new playground Shogun World, or will we see them in the familiar setting of Westworld? Check out the entire casting article, and let us know what you think! HBO Announces Westworld Season 2 Premiere Events!